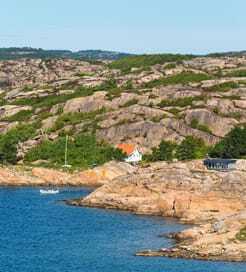 There are 4 ferry routes operating between Sweden and Poland offering you combined total of 72 sailings per week. Stena Line operates 1 route, Karlskrona to Gdynia which runs 3 times daily. TT Line operates 1 route, Trelleborg to Swinoujscie which runs 9 times weekly. Polferries operates 2 routes, Ystad to Swinoujscie runs 3 times per day & Nynashamn to Gdansk about 7 times weekly. Unity Line operates 1 route, Ystad to Swinoujscie which runs 14 times weekly. As the frequency and duration of crossings on some routes varies we would advise that you do a live search for crossings from Sweden to Poland to get the most up to date information. Poland is a large nation in Central Europe, with a long coastline on the Baltic Sea to the north and the Carpathian Mountains in the south. Sandwiched between Germany and the former Soviet Union, Poland endured a turbulent early to mid-twentieth century. But, today it stands as a beacon of post-communist European success and a proud nation with a rich Jewish heritage. A millennia-old history is apparent throughout every city, from the medieval fortresses in Gdansk, to Gothic structures in Krakow and World War II memorials in Warsaw. However, outside the sprawling cities lie unspoiled swathes of countryside, lakes, rivers and low-lying mountain passes, ideal for spontaneous long walks and organised hikes. Ferries cross the Baltic Sea from numerous locations on the south coast of Sweden, with a wealth of excellent ferry operators providing frequent crossings to multiple Polish ports.